If you join AECB as a company or educational establishment, all employees/students become members. Please therefore request additional log in details if needed and ensure all interested individuals are signed up to our Newsletter. 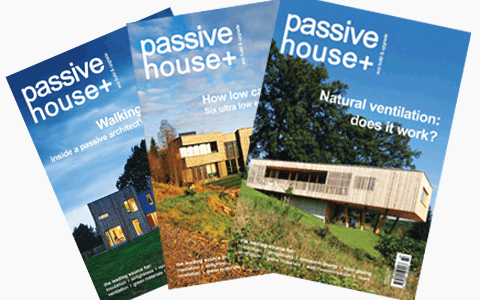 If you are a member of the Passivhaus Trust you qualify for a 20% discount on your membership joining fee. 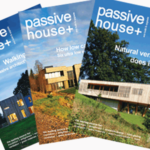 Full subscription to Passive House Plus Magazine (published 6 times a year) including an online package of additional content and resources which include exclusive image galleries of plans and construction details of most buildings featured. Additional copies of magazines can be issued to large company members on request. 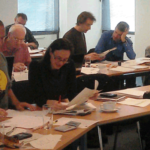 Full access to on-line documents detailing low energy design and best practice. Opportunities for ‘Member News‘ articles and Soapbox on our website and Network Newsletter. Discounted fee to attend our Annual Conference once ‘early bird’ offers cease. 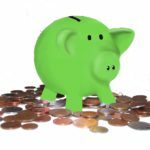 Ecology Building Society members can claim a 10% discount on their AECB membership fees – please email here to claim. Envirobuild offer members 5% discount across all products – this is on top of any other trade discount given. Please visit their website here. We rely on membership subscriptions to fund the core work of the AECB and so the Association really does value your help. Our financial independence means that we can be an entirely independent voice when lobbying Government and trying to influence the agenda for sustainable construction in the UK. 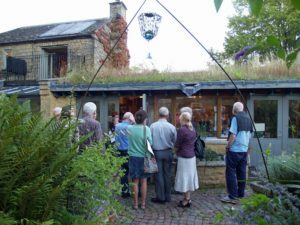 Your membership subscriptions help us to continue our essential work and we offer an attractive range of benefits in return. 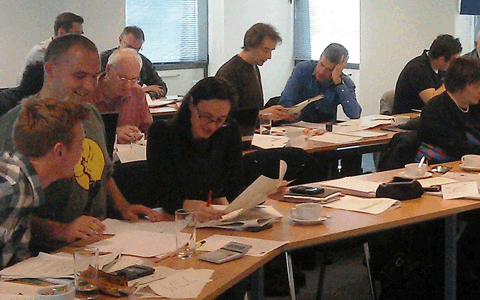 If you are a member of the Passivhaus Trust you qualify for a 20% discount on the joining fee. Students and Supporting Individuals will not have a listing on our Member Services Directory as they are not offering a service. The AECB is intended to be a network of individuals and companies with a common aim of promoting sustainable building. The AECB is not an accrediting body and membership does not imply any level of either trade, professional or environmental competence. * Courses will be added to our newsletter provided they do not compete with those which we offer ourselves. "I have been a member of AECB since hosting a conference on eco-building in 1990.I have followed the content of the magazine over the years and found it very helpful. It is interesting that much of the thinking pioneered by AECB and perceived as radical 25 years ago has now become very much mainstream; keep […]"
"I have been a member of AECB for some time and find it an extremely useful and inspiring organisation."